I love cooking. I love friends who let me cook for them. It’s the best. 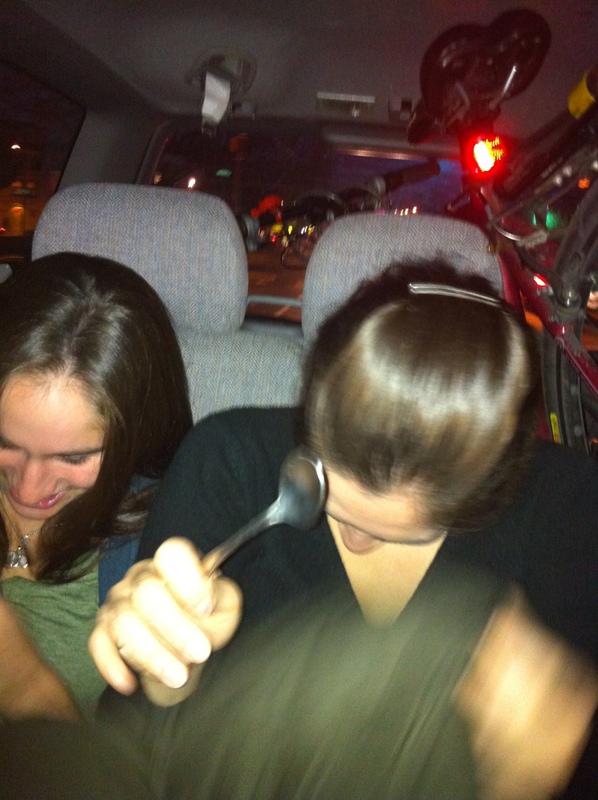 The second picture is of the ride home…we were hungry, so we asked Christina to bring down some spoons from her apartment so that we could consume Nathalie’s gallon of Dutch chocolate ice cream en route. Only the best amuse-bouche for my girls. The recipe made an encore performance for Erica, Dan, and Meta’s arrival last night. Now I’m searching for brunch places in the ‘burbs for tomorrow, which is no simple feat. Not sure this place will work for tomorrow, but I stumbled upon PB & U, and I’m literally drooling a little (just in the corner pockets of my lips, nothing too egregious). Suggestions? Finally, low-maintenance friends are the best, especially when they’re yayas and/or their very significant others and furry four-legged friends. It felt so cozy to snuggle up with respiratory physiology while Erica and Dan graded his student’s math homework and Meta snuggled on a spot on the floor in-between. Can you send me the recipe? 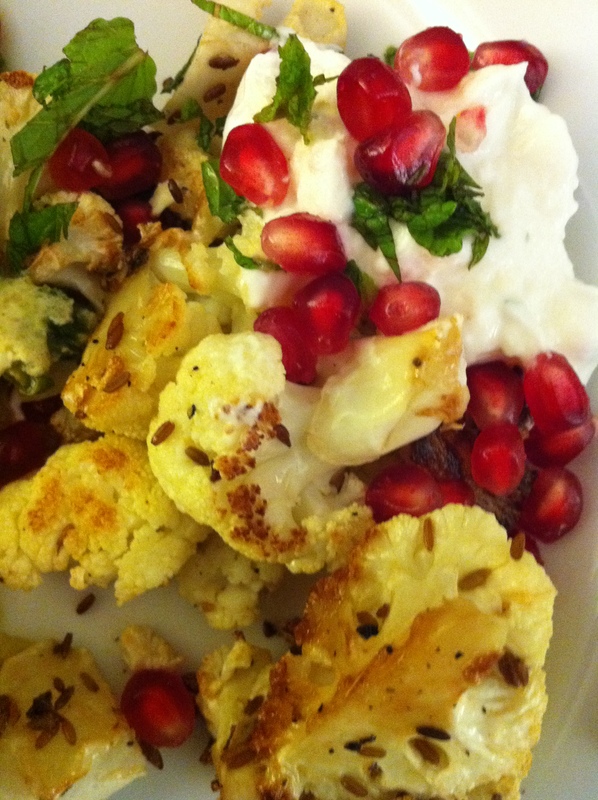 K loves cauliflower-based dishes. Can you send me a picture of Meta? sure thing, dad! will send recipe your way, and just asked erica for a picture!